If you're going somewhere, like Bali or Santorini for example, do some research before you travel. What is the stray cat or dog situation like where you are visiting? Are their shelters? Or TNR? Are there people already doing great work that you can support while visiting? Are international adoptions available or not? Could you raise funds before you travel? What do locals think about cats and dogs? In countries of extreme poverty, animals are less and less cared about. Sadly, it's the way of life. As a traveller with time and resources you can plan ahead and think what you can do to make the most impact while you are there. Feeding stray cats is not enough. After your research think about what time and resources you have available and are willing to give to help and what is the most benefit. Can you bring donations of supplies to a local shelter? Can you volunteer for a TNR mission like on Santorini? Volunteer for cat cuddles like at Villa Kitty Bali? Raise some funds before you travel? Have a cat steralised during your visit? Once you start imagining, the opportunities are endless. I urge you to ask questions of people who are in a position to make a difference during your stay. But do so in a kind and loving way. Money is the motivator behind tourism but I truly believe that if businesses start to think their income will be affected by how they treat stray animals, then they can no longer continue to turn a blind eye. Be an AWARE tourist. 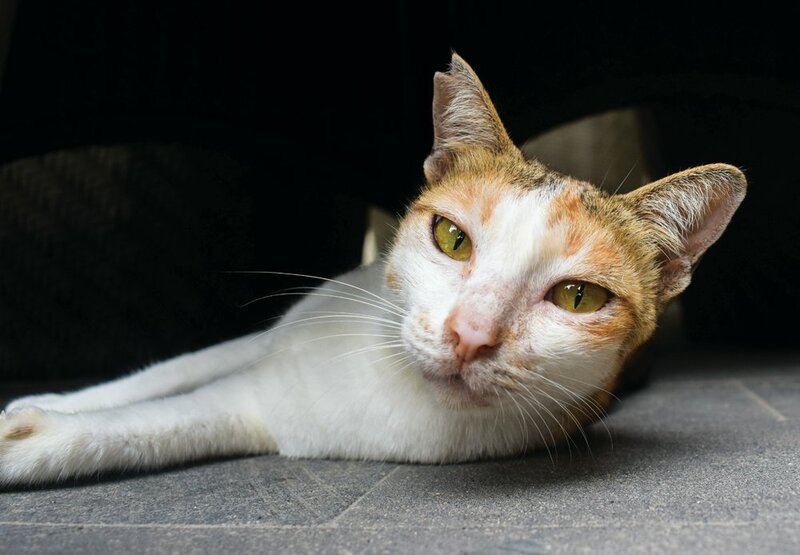 Ask your hotel WHAT they are doing to support stray dogs or cats around their property. Do they have feeding stations? Are their animals steralised? Perhaps you can encourage them to do so. If not, take your business to compassionate businesses elsewhere (like the ones on our site!) 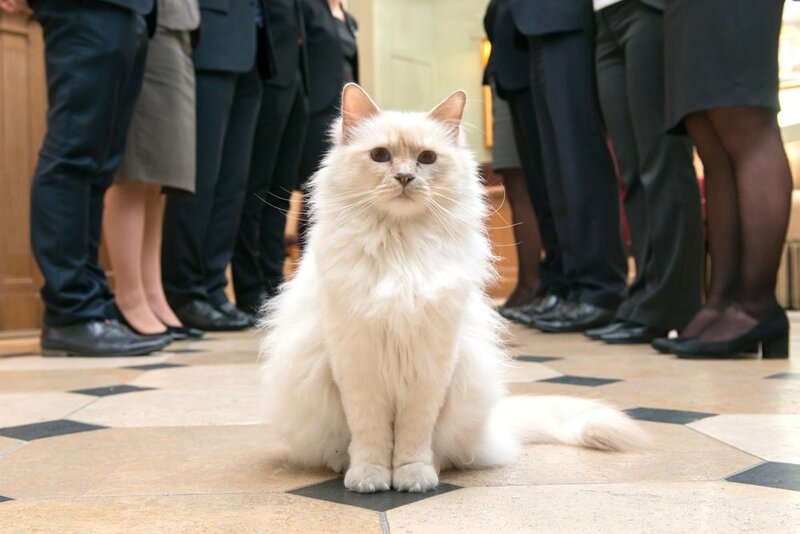 A lot of hotels think cats are bad for business, but the reality is simply not true. A lot of businesses might think that kindness to stray cats and dogs is bad for business. They might have pre-conceived ideas that animals are 'dirty' and guests will not want to share their space with a resident dog or cat. This thinking is simply outdated. Our website shows that some of the most exclusive hotels in the world have opened their doors and hearts to a furry resident. By sharing the word about Hotels With Cats, you will be showing that cats (and dogs) are indeed good for business. Kindness to animals is good PR! We recently launched our annual magazine full of 54 pages of cat travel goodness!